YouTube can now support HDR for latest iPhones. YouTube now with High Dynamic Range (HDR) support. YouTube have been working for High Dynamic Range (HDR) for the latest iPhone. 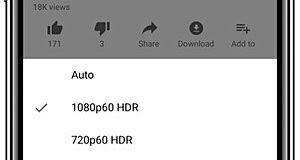 So now you can enjoy watching YouTube in HDR support. 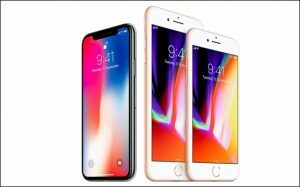 It is now available on iPhone X, iPhone 8 and iPhone 8 Plus. The iPad Pro already have vibrant screen with bright screen so there’s no need for HDR support on iPad pro. HDR video’s are now so much vibrant and more radiant than traditional content. Samsung phones already had some vibrant and colourful videos which were enjoyable to watch but with now the support of HDR you can now have fun watching videos. So you’ve got to have a display that’s capable of showing it; thankfully more and more recent smartphones do. Netflix already had HDR support but now YouTube can now support HDR which is great! YouTube has plenty of great demo material for seeing the improved picture for yourself: just search “HDR” and you’ll find no shortage of exotic scenery, cityscapes, food, animals, and other demo reel material. My iPhone switched over to HDR automatically once I started streaming a video, but you can also tap the icon with three vertical dots to manually enable it. Note that since it’s really all about color, brightness, and contrast, you don’t have to pick 1080p to enjoy HDR; it’s also supported at lower resolutions like 480p. Now you can watch HDR videos using your latest iPhones. So don’t forget let us know that it was helps you and comment down below your thoughts for HDR videos!